In the automotive industry, testing the chassis is a prerequisite for driving safety. 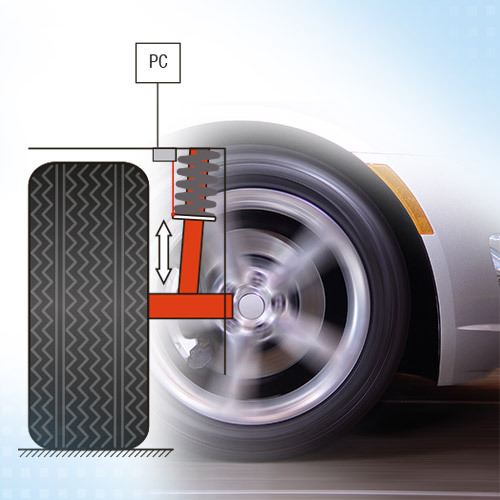 Here, sensors are required which can also withstand the high demands of road tests. For example, draw-wire sensors are mounted in parallel to the shock absorbers for the vibration displacement measurement and the data is recorded under varying road-surface properties. The displacement signal obtained is differentiated to calculate the vibration velocity and vibration acceleration.